We provide a range of disaster restoration and cleaning services including water damage restoration, fire damage restoration, odor removal, content cleaning and pack-out services, and hoarding cleaning among others. 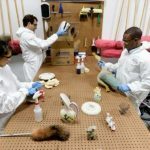 Our technicians only use the best available equipment and proven restoration techniques to ensure that we provide quality results. We have long been proud to service the McAllen, TX community and we have participated in many local restoration projects including the Donna High School fire and Pearson Elementary School water mitigation. You can reach Rainbow International of McAllen by calling (956) 622-7349. We can respond to emergencies in McAllen, TX and the surrounding communities of Hidalgo, Willacy, Starr and Cameron counties 24 hours a day. 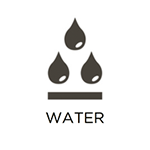 Water damage can occur in a home from a variety of sources including leaks, floods, or high moisture levels and if the damage is not addressed right away, it may become permanent. 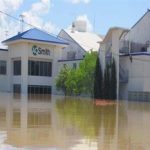 Rainbow International of McAllen provides water damage restoration services to McAllen, TX to help limit and restore the damage brought on by excessive water or flooding. Our technicians use the best equipment available to repair water damage and we work with dozens of insurance companies in the area to help you file any insurance claims. 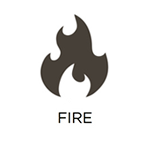 Fires are very destructive to homes and buildings and even after the flames are put out, the scene that is left behind is often unstable and dangerous. The corrosive byproducts created by the fire can cause permanent damage to the home’s structural elements and your personal belongings and furnishings can sustain damage from smoke and soot. Rainbow International of McAllen provides fire and smoke damage restoration services to help restore homes and businesses in McAllen that have been damaged by a fire. Our technicians can repair structural damage caused by fire and we can also completely remove the smoke damage and odor from the structural elements and furnishings of your home. There are several sources that can cause lingering foul odors in a home or building that include excess moisture, smoke, pets, and dead animals and these smells are often hard to eliminate. Rainbow International of McAllen offers deodorization services to remove strong odors from the furnishings and structural elements of homes and buildings in McAllen. Our technicians are trained to use several different methods of odor removal such as absorption technology, Nano carbon technology, hydroxyl technology, and ozone technology. We will also locate and remove the source of the odor to make sure it does not come back. When a disaster such as a fire or flood causes damage to your home, your personal items are just as vulnerable to damage as the structural elements and furnishings. Rainbow International of McAllen provides content cleaning and pack out services to clean and restore your personal belongings in our secure facility. Our technicians take a detailed inventory of all of your contents and personal items as they are packed up and we safely transport them to our facility for thorough cleaning and restoration. Once your personal belongings are cleaned, we will deliver them back to you at your convenience. 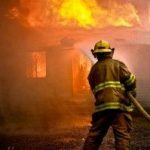 When a disaster such as a fire or flood causes significant enough damage to leave your home unstable and exposed, it is necessary to secure the building immediately with board up services. Rainbow International of McAllen provides board up services to help secure heavily damaged homes and buildings in McAllen, TX. Our technicians will board up every window, door, and opening to stabilize the building and protect it from the weather and vandalism as a permanent restoration solution is worked out. There are several disasters that could cause significant damage to your roof such as strong winds, heavy storms, and fires and when severe damage occurs, it is important to get your roof secured as soon as possible. Rainbow International of McAllen provides roof tarping services to homes and businesses in McAllen, TX to temporarily protect your roof from further damage caused by the weather or vandalism. 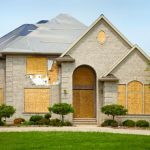 Generally disasters such as heavy storms, fires, and accidents only affect certain areas of a home but sometimes the damage caused by these disasters can be extensive enough to require reconstruction services. 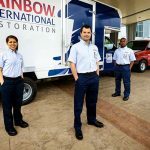 Rainbow International of McAllen provides reconstruction services to help rebuild and restore heavily damaged homes and businesses in McAllen, TX. 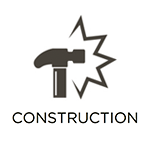 Our technicians can handle any size reconstruction project for commercial and residential buildings and we work in compliance with local codes. 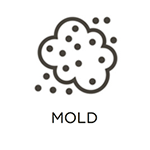 Mold is one of the last things you want to find in your home and when you do it is important to begin the mold removal process immediately because of the potential damage and health effects it could cause. Rainbow International of McAllen provides mold remediation for areas that are 10 feet by 10 feet or smaller in McAllen, TX. Our technicians can effectively remove the mold from your home and salvage or replace the affected surfaces. 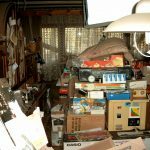 Hoarding is an issue that many people struggle with every day and when the collected hoard becomes too large, it creates a dangerous situation in the house that must be addressed. Rainbow International of McAllen offers hoarder cleaning services in McAllen, TX to help the friends and family of hoarders clean their homes to create a much safer living condition. Our staff has experience with hoarder cleaning projects and we approach each project with a sense of compassion to help make the situation easier for all involved. The carpeting in a home or office space is more likely to become affected by dirt buildup, stains, and odors than most other furnishings. 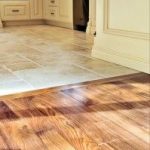 However, the carpeting in these areas does not always get the level of cleaning it needs to prevent damage from these issues. Daily foot traffic contributes to dirt buildup in the carpet fibers that can lead to discoloration, staining, and deterioration. While vacuuming can help reduce the buildup, it will not remove it completely. 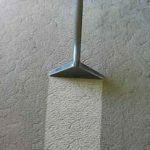 Rainbow International of McAllen provides carpet cleaning services in McAllen, TX to clean and revitalize carpeting and area rugs for homes and businesses. We use advanced cleaning methods and equipment to ensure that stubborn stains and debris buildup are removed to help restore the appearance of your carpet.